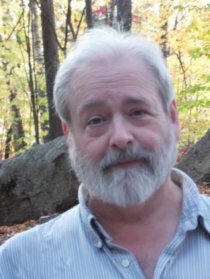 Misenchanted Press is a small publisher owned and operated by author Lawrence Watt-Evans. It was created to publish books that for one reason or another could not be produced in the way he wanted, on the schedule he wanted, by other publishers. The name was first used in 2007 for the limited-edition trade paperback of The Vondish Ambassador, and revived in 2011 for use in self-publishing e-books. It's gradually expanding to include a wider variety of material, both new and old, and both ebook and on paper, by multiple authors. The "Titles" link above will show you our complete catalog. Misenchanted Press is, as yet, a one-man operation. While we (that's the editorial "we") sometimes hire freelancers for a specific task, almost everything, from writing to editing to cover design, is done by the proprietor. Which is say, me. For more about me, check out my webpage. Misenchanted Press uses accounts on Kindle Direct Publishing, CreateSpace, NookPress, Lighting Source, Smashwords, Lulu, iTunes, and elsewhere to produce and distribute our books. Except for the limited edition of The Vondish Ambassador and the occasional overstock, we do not maintain any supplies of our own or sell our books directly, and we have only limited control over certain aspects of our publications. However, it is our policy to never use Digital Rights Management or otherwise make matters more difficult than necessary for our customers. We trust that our readers will, in turn, not make matters more difficult for us by distributing our e-books illicitly. And we really like talking about ourselves in the plural, even though it's all just me. Thanks for reading!